Take to the road with a friendly horse and experience the gypsy lifestyle. 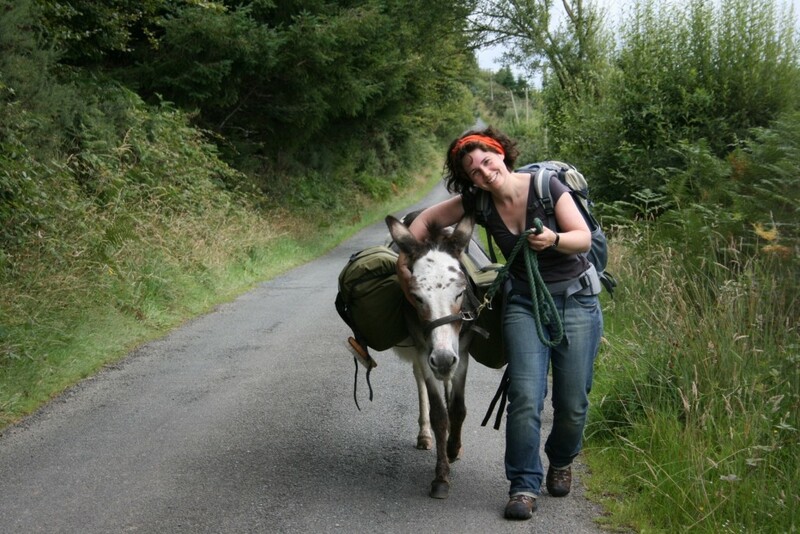 With your donkey companion discover the incredible beauty of Wicklow. 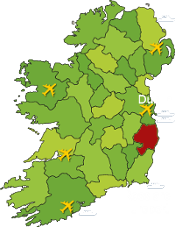 Discover the stunning Wicklow countryside. Glendalough is just a 10 minute drive from our glamping farm. Find your own way to explore the Wicklow countryside. Explore Ireland and the great outdoors in a unique and eco-friendly way. Stay in one of our colourful and cosy glamping caravans for a truly unique holiday experience. 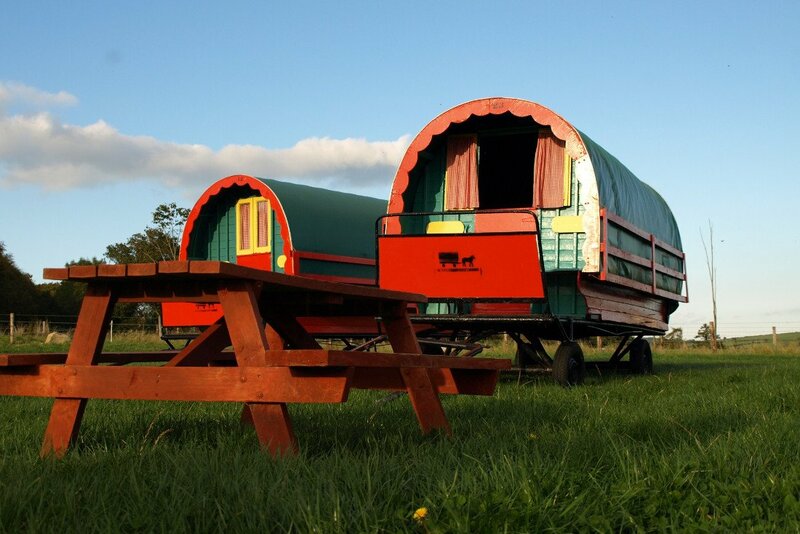 Nestled on our 100 acre family farm, just 1 hour from Dublin, the caravans have snug sleeping and eating facilities perfect for couples and families. Glamping on a farm is a wonderful way to get back to basics and feel a real connection with nature. 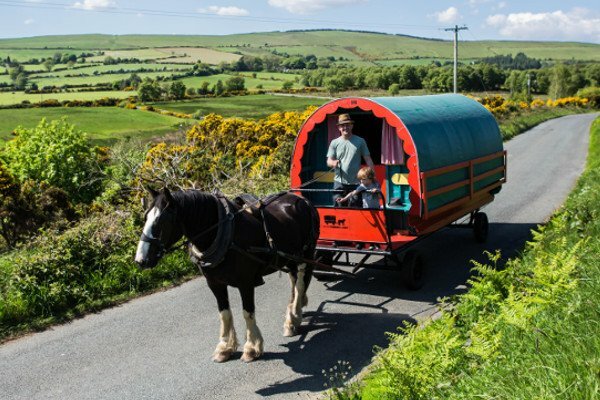 Take to the road with a horse pulling your home and experience the gypsy lifestyle. We offer you a holiday with a horse and covered wagon where 4/5 people can sleep and cook. You can choose to have a very leisurely, intimate break or fill your time with activities and new challenges. Try a walking holiday with a difference. With a friendly donkey by your side discover the natural beauty of Wicklow the Garden of Ireland. Your long eared companion can carry up to 15kg of your luggage from B&B to B&B and provide great company and fun along the way. https://clissmannhorsecaravans.com/wp-content/uploads/2018/11/glamping-caravan-wicklow-building-feat.jpg 300 720 Neasa Clissmann /wp-content/uploads/2018/01/Clissmann-Horse-Caravans-header-logo-90.png Neasa Clissmann2018-11-08 15:31:022018-11-08 15:46:45Did you know we build our Glamping Caravans here on the farm?